It's here! We have just released our FIRST EVER look book and we wanted to give you all the juicy behind the scene details. We call her Wild Love. Why the F not? 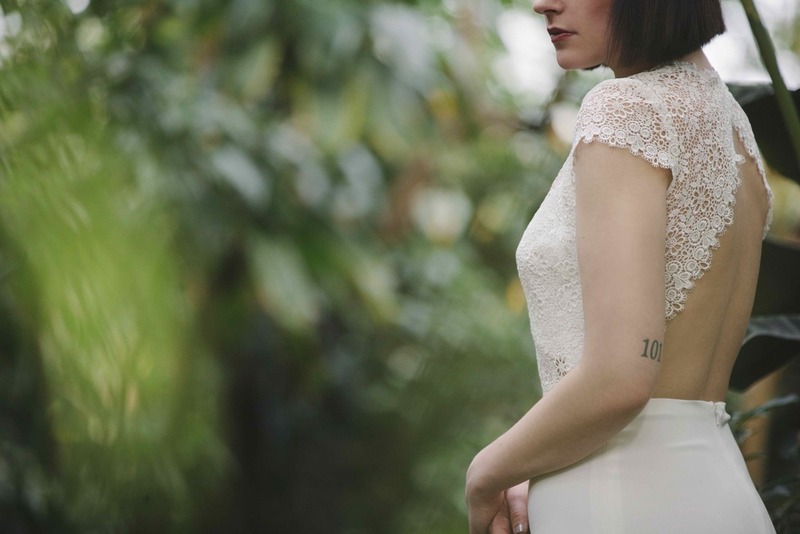 But in all seriousness, we wanted to highlight our amazing designers and present our vision of the modern bride. We truly believe that when it comes to your wedding, anything goes. We hope you love it and find a touch of inspiration to create your own unique wedding look. 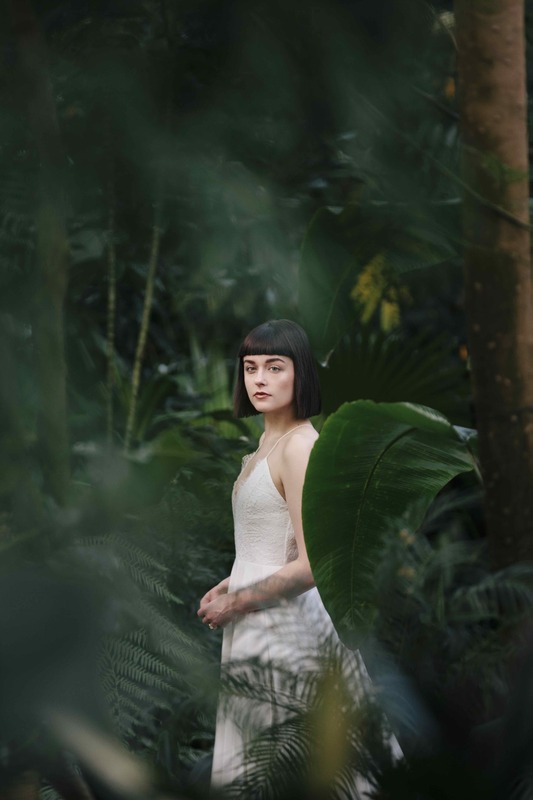 We chose to shoot at Vancouver's Bloedel Conservatory. The building is a beautiful domed, lush paradise located in Queen Elizabeth Park atop Vancouver's highest point. More than 500 exotic plants and flowers, and 300 free-flying exotic birds thrive within it's temperature-controlled environment. Photographer Lindsay Elliott and her team were up at the crack of dawn to accommodate our tight schedule. We shot 10 looks in just under 1 hour and 45 minutes. Talk about a timeline. Hair and Make-up pro Brenda Bakker made our models shine bright like diamonds. Brenda is a make-up magician and our models looked effortless and polished for a natural bridal glow, just the way we like it. Hayden Korte-Moore is a true mountainista. A soul shredding skier with a heart of gold. 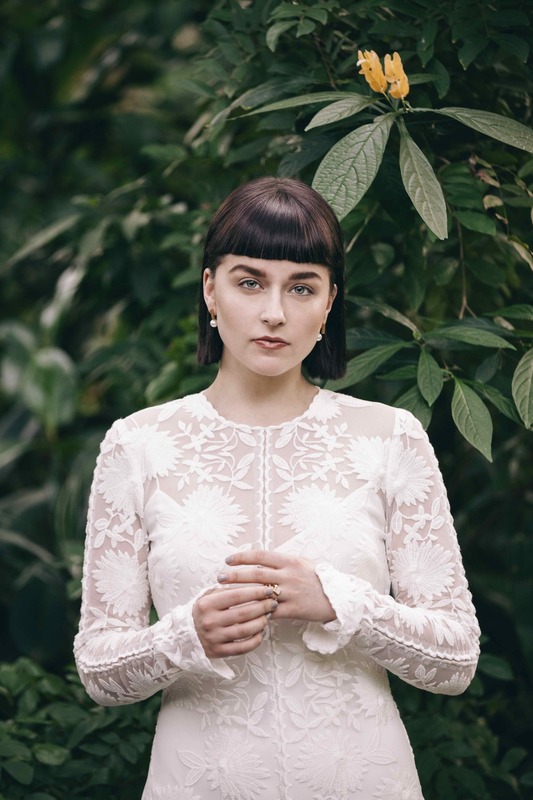 We made this outdoorsy beauty take a step out of her comfort zone to play dress up in our bridal gowns. Follow Hayden's adventures on Instagram @haydenkortemoore. Christa Belle (Walley) is basically the cool, edgy girl we all try to be like. She's got killer style, can seriously rock an edgy bob and she's a talented DJ who rules the Vancouver nightlife. Follow Christa @dividedself to live vicariously through this musical babe's city adventures.